The ruling BJP comfortably won the bypoll from Jasdan Assembly seat in Gujarat Sunday, taking its tally in the House to 100. BJP candidate Kunvarji Bavaliya defeated his nearest rival, Congress nominee Avsar Nakiya, by a margin of 19,979 votes, officials said. Bavaliya retained the Assembly seat in Rajkot which he had won as Congress candidate in 2017. With this, the BJP now has 100 MLAs in the 182-member Gujarat Legislative Assembly, while the Congress tally has come down to 76. The saffron outfit had won 99 seats in the 2017 assembly polls and the Congress 77. At the end of the counting of votes, Bavaliya secured a total 90,262 votes as against Nakiya's 70,283, the officials said. A total 2,146 votes were cast as NOTA, they said. Polling for the Jasdan Assembly seat was held on December 20 and a voter turnout of 71.27 per cent was recorded. 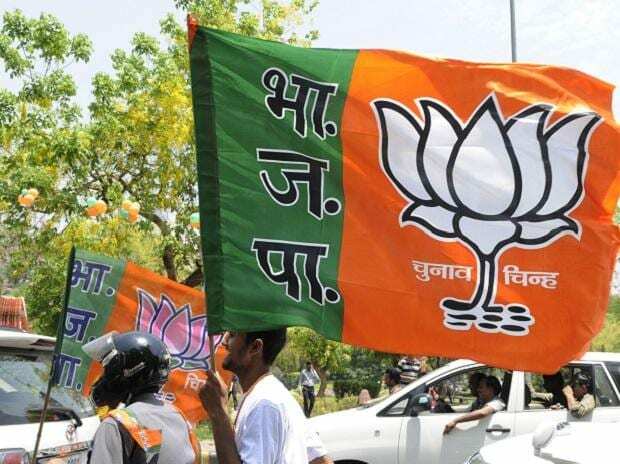 The by-election was necessitated after Bavaliya, an influential Koli community leader who had won the seat on a Congress ticket in 2017, resigned from the party and also the assembly, and joined the BJP. Bavaliya, who quit as an assembly member on July 2, was made a Cabinet minister in the BJP government the same day.